After weeks or even months of searching you’ve found the Loft you love. The trouble is – it’s located next to or near a school, and you’re wondering what that might mean down the line. 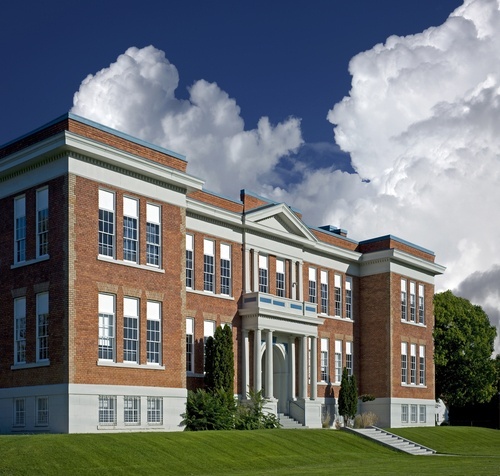 Is buying near a school a good idea, or could it be inviting trouble? Here are the pros and cons you should weigh when deciding whether or not to buy a Loft near a school. Being within walking distance: If you have kids in school, it can be a huge plus if they live close enough to the school to walk. It’s comforting to know that they are close by, and it can make mornings less hectic knowing you don’t have to battle traffic to get there. Having access to school amenities: Do you like to run or play sports? Living near a school often means having access to running tracks or sports fields. Many schools allow members of the community to use these facilities before and after school. Living in a safer neighborhood: In general, the areas around schools tend to be safer. They are more likely to have regular police patrols and crossing guards for busy streets. Traffic: The number of cars and busses passing through the neighborhood at the beginning and end of the school day can increase dramatically. More traffic can also cause more traffic noise, like the sound of idling cars and busses. Parking: More traffic means more parking-related issues. Once the school parking lot is full, parents will be parking on the street, which could impact the parking situation in front of your Loft. Limited number of potential buyers: When it comes time to sell your Loft, you may find that there are fewer buyers interested in purchasing a Loft near a school. Noise: In addition to increased traffic noise, you will likely also hear other noises from the school. This could include school bells, football games and even band practice. Ultimately, the choice is yours when it comes to buying next to or near a school. To get a clear picture of how the school might affect your daily life, you should visit at different times of day. Notice what it’s like on a Monday morning compared to a Friday afternoon. Research crime statistics and see if more acts of vandalism are reported during the school year. Talk to neighbors to get their thoughts about living near a school. In the end, you can feel good about your decision once you know all the important information.